Chairman of the Russian Federation Council’s International Affairs Committee, Konstantin Kosachev, has asserted that the accusations and allegations made by the United States against the Syrian government are part of the US media war. 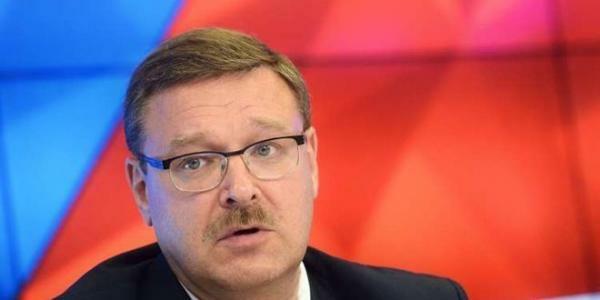 Novosti News Agency on Saturday quoted Kosachev as saying that the accusations and allegations of the US Department of State aim at undermining stances of the Syrian government regarding the future political settlement of the crisis in Syria. He added that the accusations also have another goal which is the attempt to dismiss recent information from the General Staff of the Armed Forces of the Russian Federation about Washington’s support to Daesh (ISIS) terrorist organization in Syria.